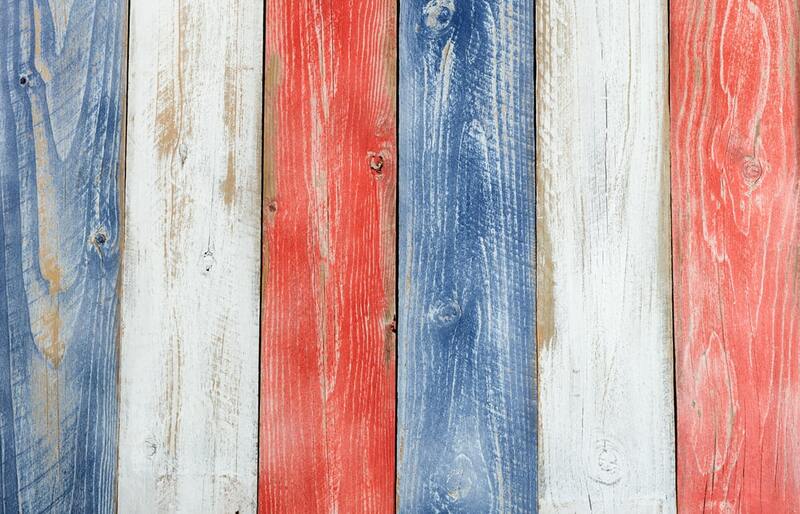 This Fourth of July, many will gather for swim parties, burger grilling, and firework displays. We do these things because we want to reflect the American spirit on the day that commemorates the formation of our country. But the holiday also offers us a chance to honor the veterans who have made extraordinary sacrifices in service to this country. To better understand how Independence Day relates to our veterans, we must first examine the history of the holiday. The historical event that the holiday is based on, the creation of the Declaration of Independence, occurred during the Revolutionary War. While the Declaration of Independence formally announced the separation from Britain, the seeds of revolution grew over a period of 10 years. Years earlier, in 1765, Britain passed the Stamp Act, which was a direct tax on any material printed by the American colonists. The actual cost of the tax was less disturbing to Americans than the precedent that it established; Britain felt free to impose a level of control upon the colonies that the founding fathers were uncomfortable with. The colonists resisted the tax, and Britain responded by imposing more taxes. Over the next few years, a pattern began to form: the colonists rebelled against legislation that they found unfair, Britain responded by tightening the screws, the colonists protested more vehemently, and the laws continued to get stricter and stricter. In 1973, Boston passed the Tea Act. The colonists responded by hurling East India Company tea into the Boston harbor in the event that came to be known as the Boston Tea Party. This act put an even greater strain on the relationship between Britain and the colonies, and full-scale war was soon to follow. 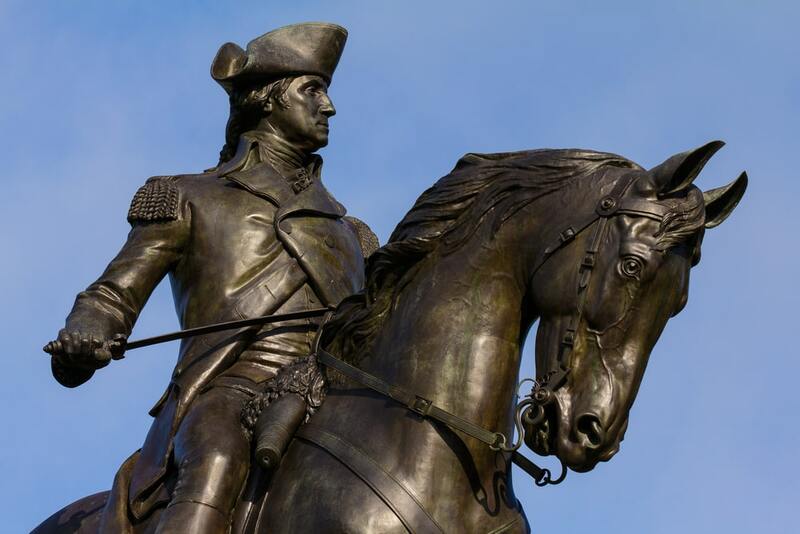 On April 19, 1775, Paul Revere completed his famous ride, warning the American soldiers of the arrival of the British. Hoping to gain military supplies, British soldiers headed for Concord, only to be stopped at Lexington by American gunfire. 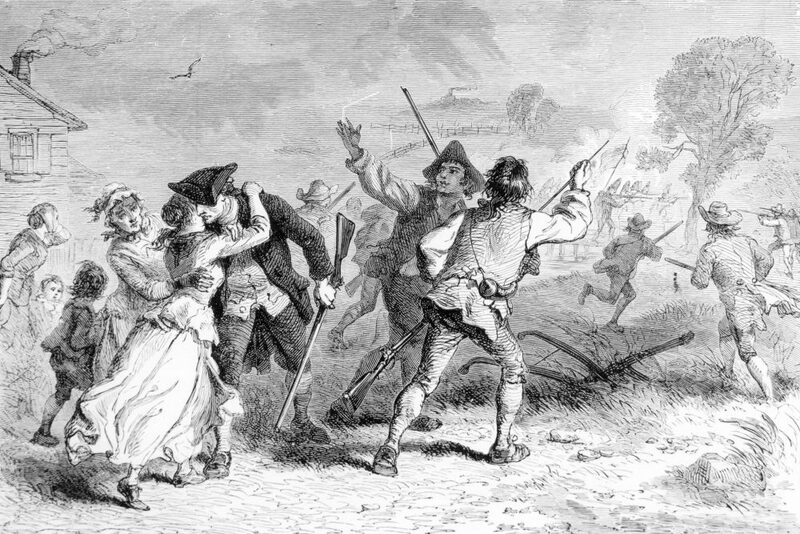 After a brief skirmish, the colonists retreated, and British troops pressed on to Concord. But at Concord, the colonists gained the upper hand, and the British retreated to Boston. This victory for the colonists marked the beginning of the Revolutionary War. 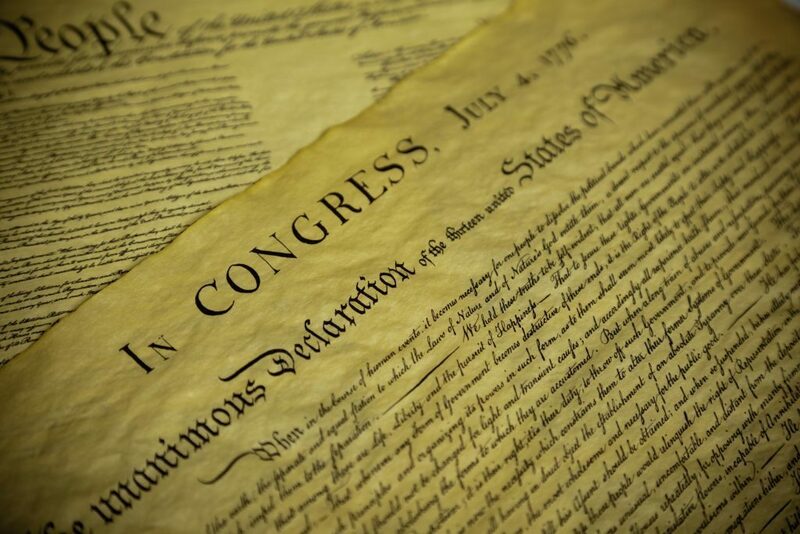 On June 11, 1776, a little more than a year after shots were fired at Lexington and Concord, a committee at the Second Continental Congress selected Thomas Jefferson to write the first draft of the document that would come to be known as The Declaration of Independence. 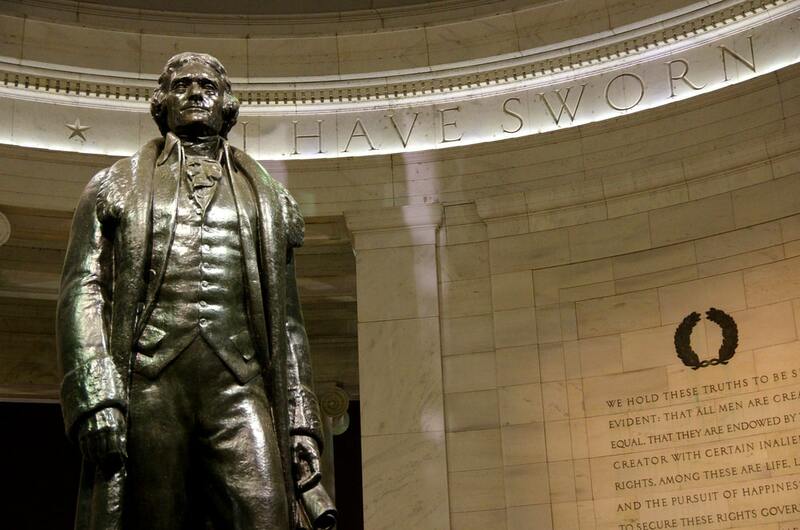 The committee chose young Jefferson over several already legendary American figures: Benjamin Franklin, John Adams, Roger Sherman, and Robert R. Livingston. After several changes to the first draft, America released the final document on July 4, 1776. The declaration officially marked America’s break from Britain and claimed independence for the 13 colonies. 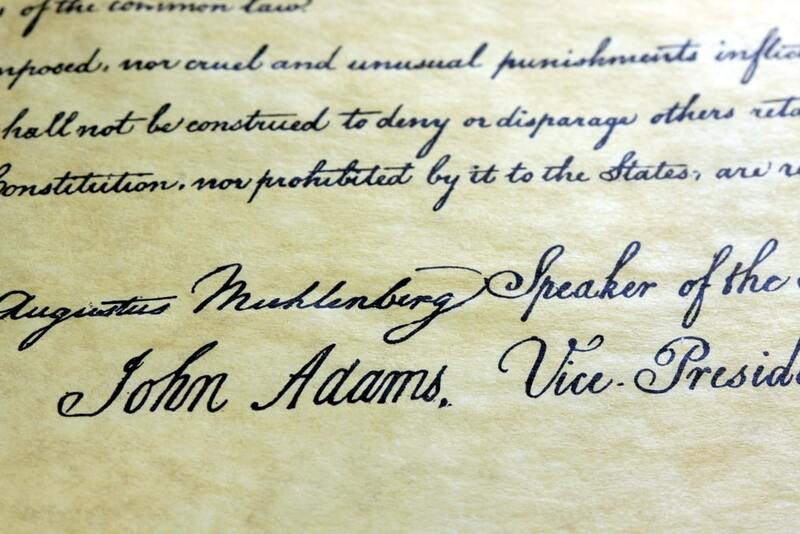 Independence Day commemorates the creation of this document, which outlines American values. The Declaration of Independence is inseparable from the context of the Revolutionary War. For this reason, we link the holiday not only to America, but more specifically to American soldiers. The main principles of the document–life, liberty, and the pursuit of happiness–are what the American soldiers of the 18th century gave their lives for. Many veterans have since served our country with the same commitment. Independence Day provides us with an opportunity to remember those who have given so much for their country. The veterans who have served in the spirit of preserving life, liberty, and the pursuit of happiness have made great sacrifices, and we need to take the time to express our gratitude. 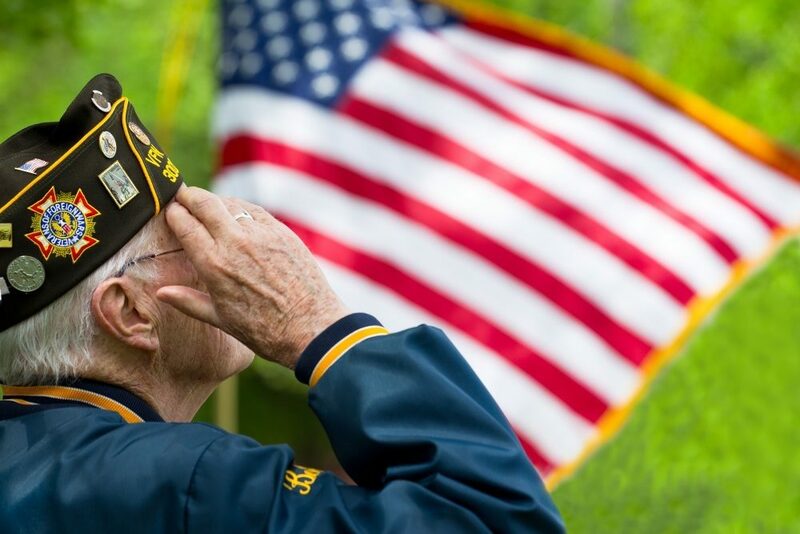 If you or a loved one are a veteran, we’d like to say a special thank you. We are thankful for your service and sacrifice. Also, we’d like to highlight an important issue that you need to be aware of: veterans’ burial benefits. It’s important that you are well-informed on the benefits that you are eligible for, as well as the restrictions and limitations that may apply. 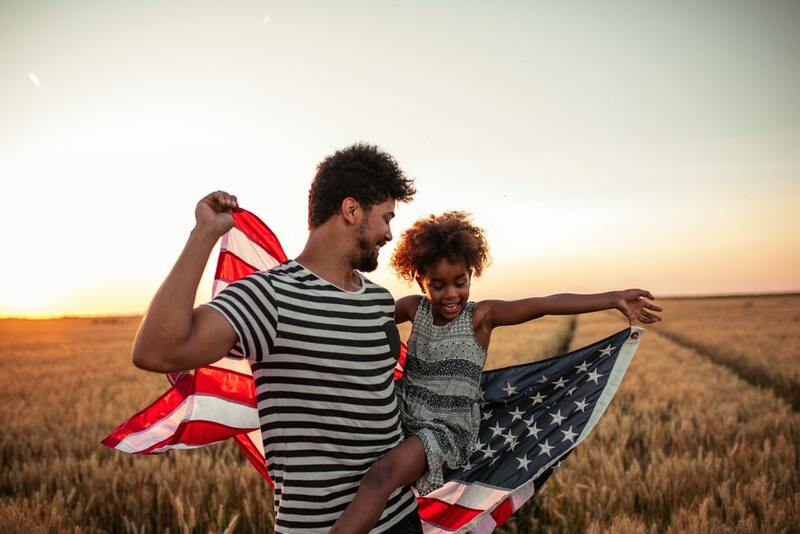 How do I ensure that my family receives my veterans’ benefits?